A Project Management Office (PMO) is a centralized team within an organization striving to bring economies of repetition to projects, through the introduction of standards. Essentially, the aim of a PMO is to drive project execution performance and visibility through the introduction of project management standards. PMO’s may take their activities beyond just standards according to their organization’s needs, for example, participating in portfolio management or strategic project reviews. Within an organization, PMO’s can exist at different levels: organizational (spanning the entire organization), departmental (spanning a department), or project specific (dealing with just one project). Establishing a PMO that delivers real value to an organization is something which takes time and is best done incrementally, in stages. A good PMO will ensure that the project management methodology used within the organization follows industry best practice, such as PMBOK or PRINCE2. The PMO also provides a mechanism to ensure that every project is run in accordance with any compliance obligations which must be met, such as Sarbanes-Oxley. The PMO will provide standardized documents to all projects, such as Risk Logs and Issue Logs etc, freeing the project manager from creating these and allowing them to get on with the business of running their projects. Over time, PMO’s can establish objective metrics which provide an independent view as to how a project is progressing, provided in addition to the project manager’s status report. For example, as an executive you might want to know that despite the project manager being confident the project can be delivered on time, a project with this many defects and at this stage in the project, typically takes 2 months longer to deliver than the current projection. The PMO can build, maintain, and share a knowledge base of lessons learned and best practice from previous projects. It can also be used to follow up that the actions identified in the lessons learned are actually actioned. The PMO can ensure that standardized ways of managing risks, planning schedules, and managing communications are in place. Essentially we want the entire business to be on the same page, and speaking the same language when it comes to projects. 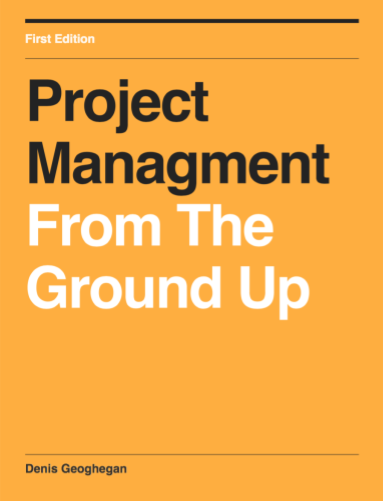 Some PMO’s maintain a resource pool of project managers. This is useful in obtaining project managers who are project management professionals, 100% dedicated to managing projects. This might be the right choice for you if you’ve identified that your projects are failing because your project managers are trying to fulfil more than one role, for example, business analysis and project management. The PMO ensures and promotes the use of the same project management tools throughout the organization, rolling out new tools in a controlled manner to meet the needs of the organization. A Project Management Office (PMO) is a centralised team striving to bring economies of repetition and standardization to projects within an organization. The key deliverables of the PMO are industry standards, templates, metrics, a knowledge base, processes, a resource pool, and tools. I hope that this article has given you a solid understanding of what a PMO does and that you can imply the benefits of having (or changing) a PMO within your own organization. The real business driver for PMO’s is that through standardization they enable organizations to manage projects more consistently, with better visibility, whilst lowering overall project costs (if implemented well).